I chose the Daisy Chain pattern for my first quilt in TEN years for two reasons. 1) I had a super sweet dog named Daisy growing up. 2) I liked the positiveness of the white plus signs that emerge. Ok, time for Daisy's closeup! This quilt has been washed so it's crinkled and cuddly. 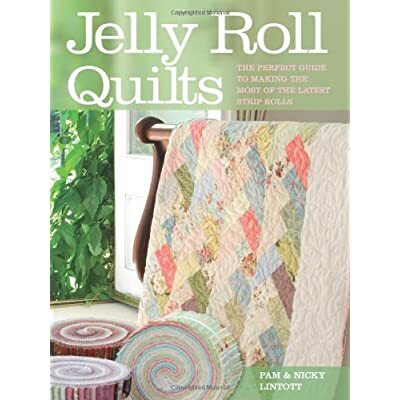 You can find this Daisy Chain pattern in the Jelly Roll Quilts book by Pam Lincott. Never heard of a jelly roll? It's a roll of 2.5" wide precut strips in coordinated fabrics (usually they include 20-40 strips). It's a great way to get a sampling of an entire fabric collection and jump start your quilting.